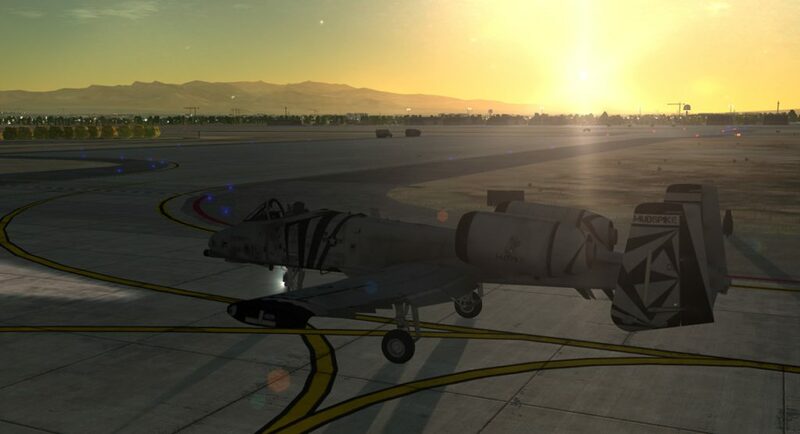 For this Independence Day special we look at one of the missions in Baltic Dragon’s upcoming A-10C campaign. We here at Mudspike are big fans of Baltic Dragon, and his past work has brought us (and his fans around the world) a lot of enjoyment over the last few years. 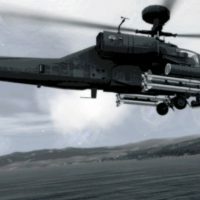 Late last year, Erik “Einstein” Pierce previewed the Mirage 2000C campaign that Baltic Dragon created, I gave a preview of The Enemy Within, and Sryan gave us a preview of BD’s collaborative effort with Viper – The Georgian War. So it seems BD has been a busy guy! 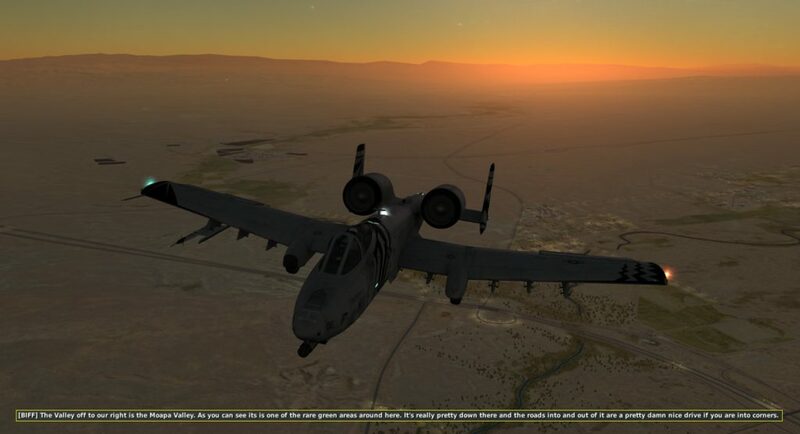 His next project, Operation Iron Flag, has you assuming the role of a pilot upgrading to the A-10C. 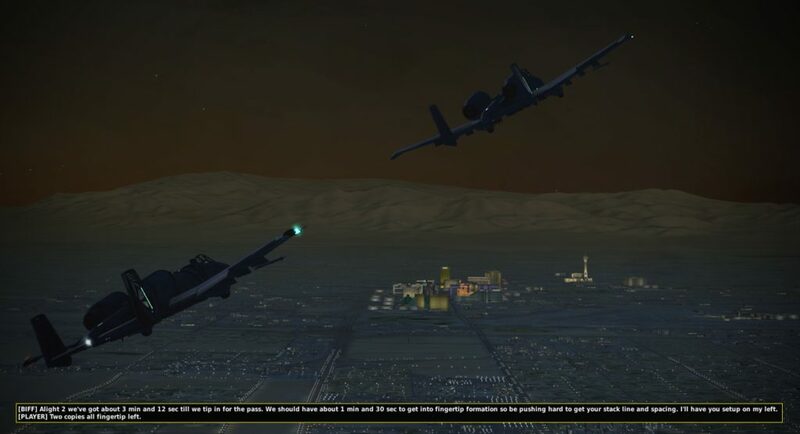 The mission we’ve been allowed to preview is a fun little break in the training that has us doing a flyby over the Vegas Strip to celebrate Independence Day in the United States. 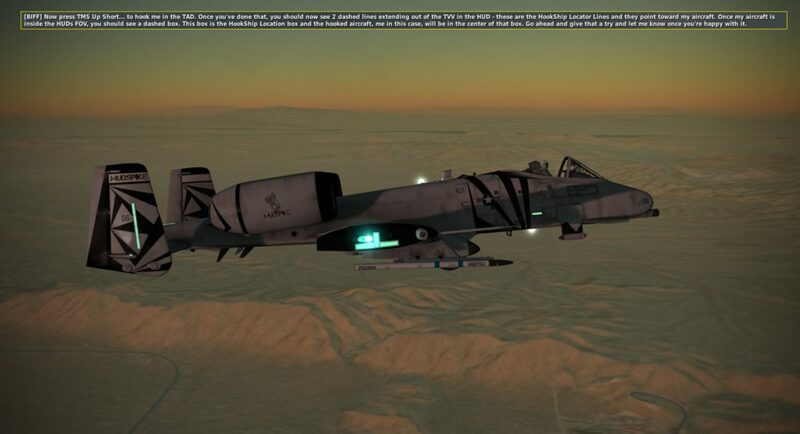 This article features a beta version of one mission of the Iron Flag campaign. Further development and changes should be expected. As usual, BD has created an immersive mission with superbly detailed briefings, maps, and graphics. The mission feels well designed and approachable, even from someone who has only recently finished up A-10C basic qualifications. 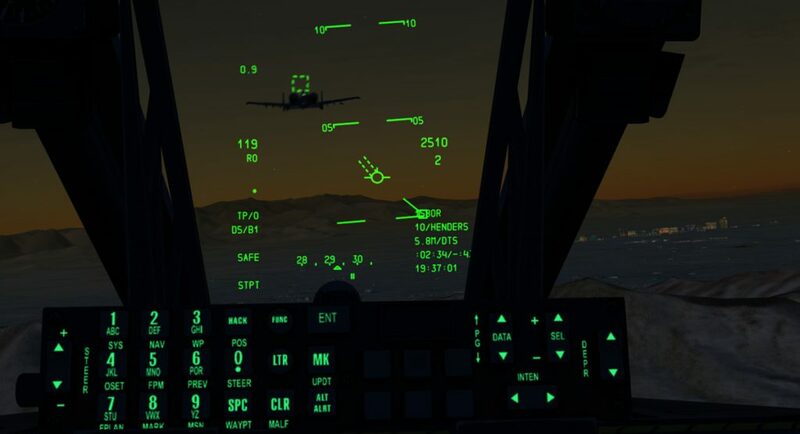 I’ll say it right off the bat – I’ve never experienced a sim mission that was so realistically intense as far as keeping up with radio switches, responding to radio calls, and generally managing an aircraft while simultaneously navigating and communicating. 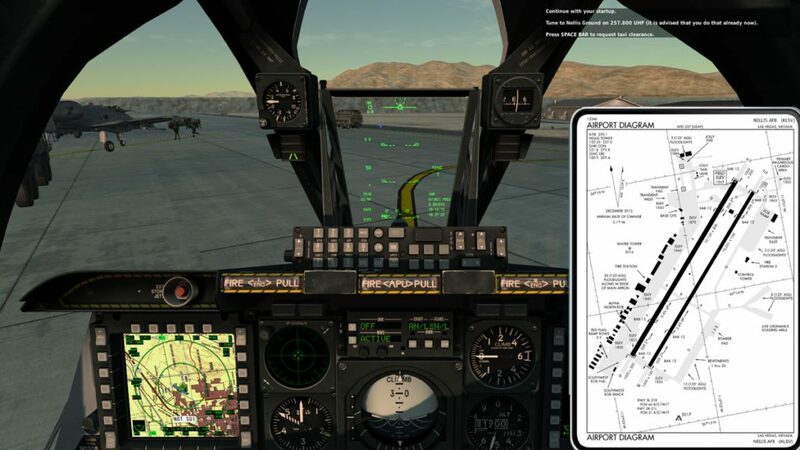 The use of the three A-10C radio sets is fantastic and you’d be well served to learn what radios are used for different frequencies. 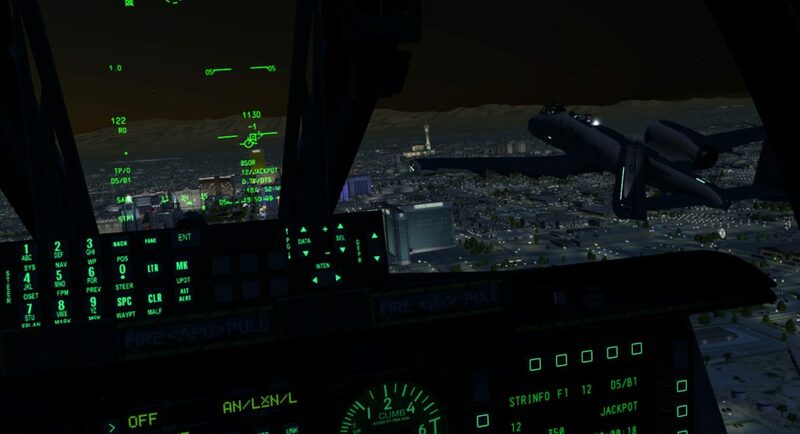 I fly for a living, and I was pretty impressed with the wingman, ATC, and other communications that populate the mission. 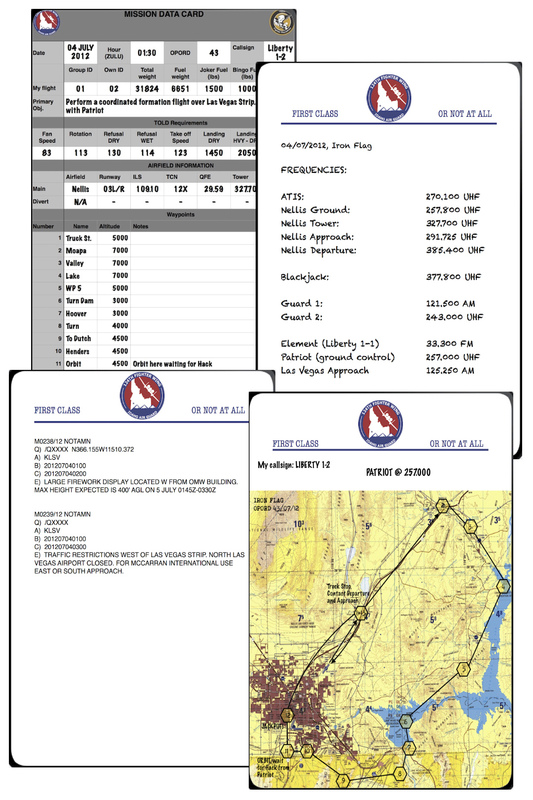 You’ll find custom kneeboard graphics and tips on the kneeboard – they will be essential to keeping up with what is going on. 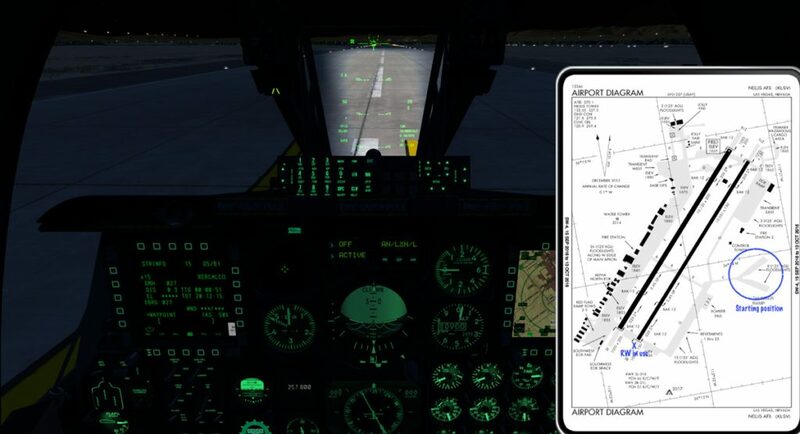 Almost all aspects of a full sortie are touched on – from grabbing the ATIS to receiving taxi instructions, all the while listening to some very authentic, but laid back communications between you and your flight lead. By laid back – I mean there is some good humor in the banter that strikes the right tone between mission parameters and guys being guys. It doesn’t come off as corny, and the pacing and delivery seem very good. 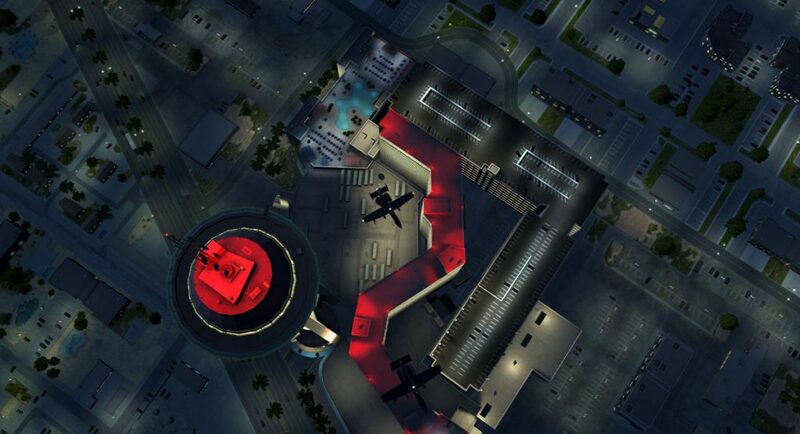 BD hinted that he had some very good advice and assistance with the comms that really shows throughout the mission. 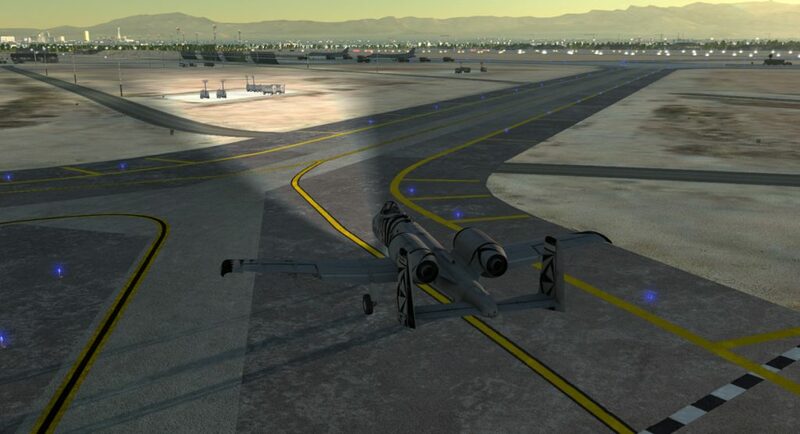 After taking off and waiting at the rendezvous point, you get some good tips intermingled with the banter. 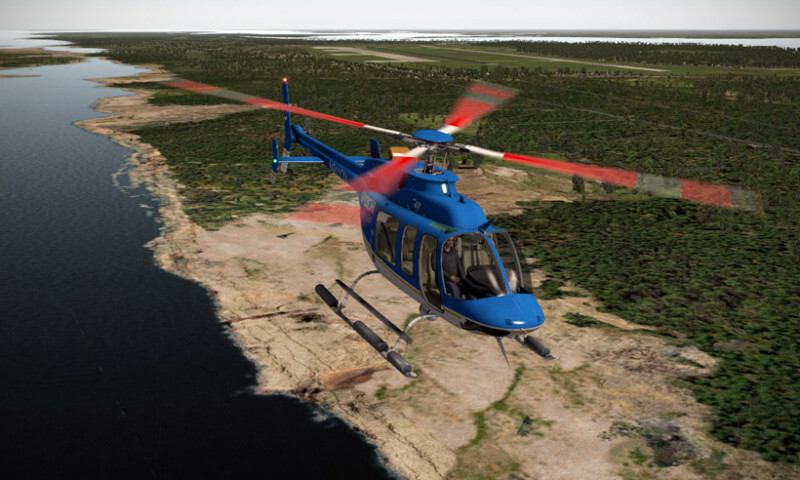 The DCS NTTR theater is gorgeous and flying along and taking a tour while we wait for our “push” time is quite relaxing (other than juggling the radios and staying in formation). 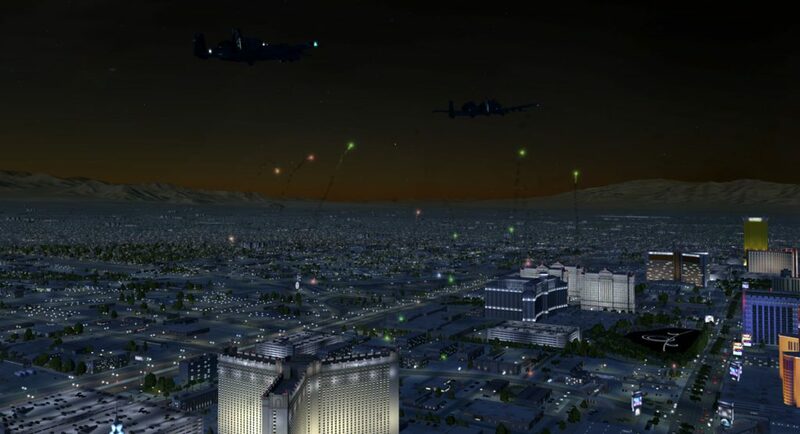 The fly over of the Vegas strip is to occur at a certain time – thus there is a requirement for a time hack and meeting the “time on target” as it were. Fortunately, we are flying as wingman, so all the glory for being early is late is squarely on the flight lead. It is just up to us to keep on his wing, keep an eye out for traffic, and follow along through the multiple frequency changes. 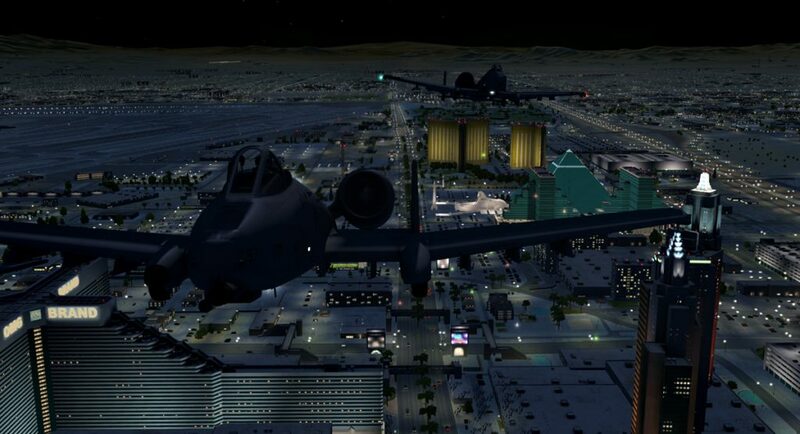 Coming across the strip on time – we are treated to a display of fireworks and we take it all in. 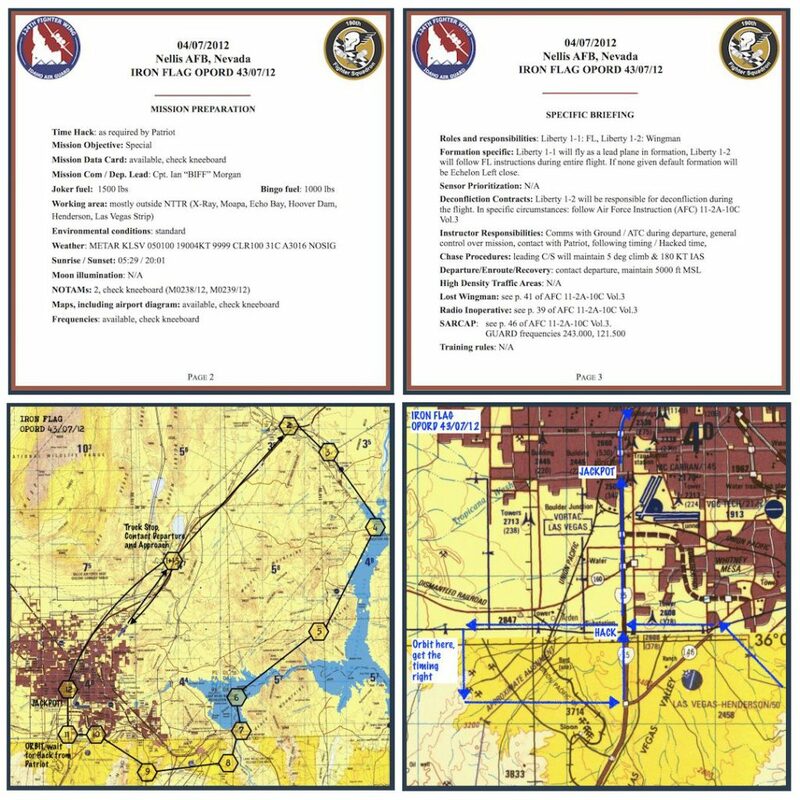 After the fly over, it is back to communicating and navigating as we take approach clearances to return to Nellis. Each of the clearances have to be acknowledged, and you must be on the correct frequency and radio. 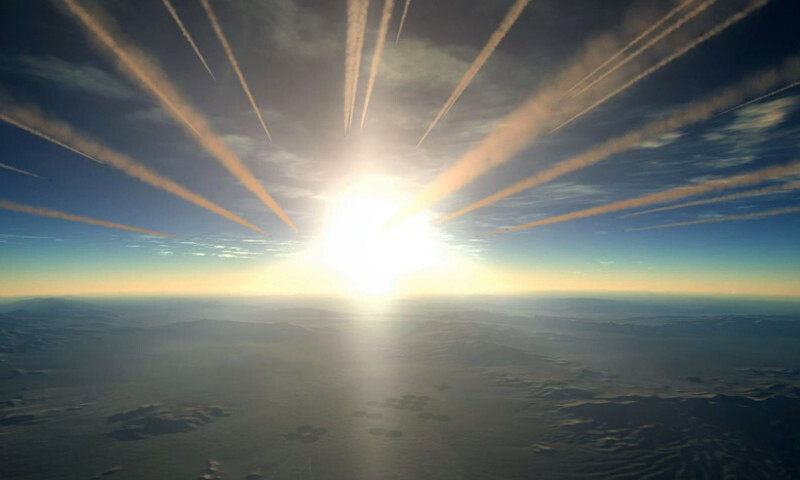 Once you are on the ground and over to the ground frequency – MISSION SUCCESS! 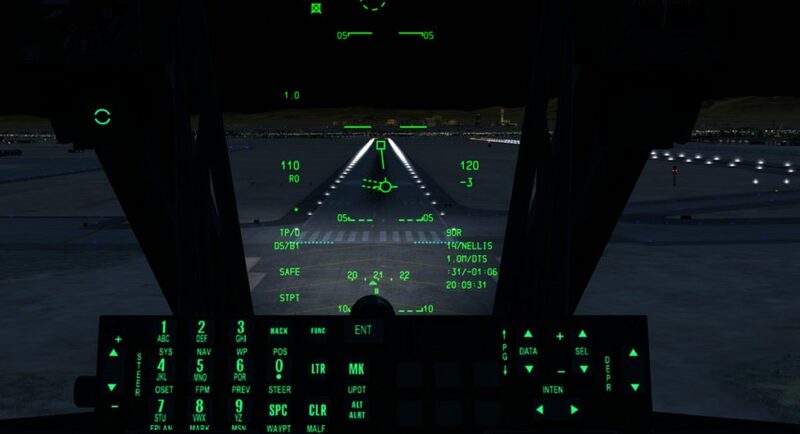 Whew..that was a long formation flight with lots of dancing with the left subpanel. There is probably an easier way to change frequencies (the UFC?). 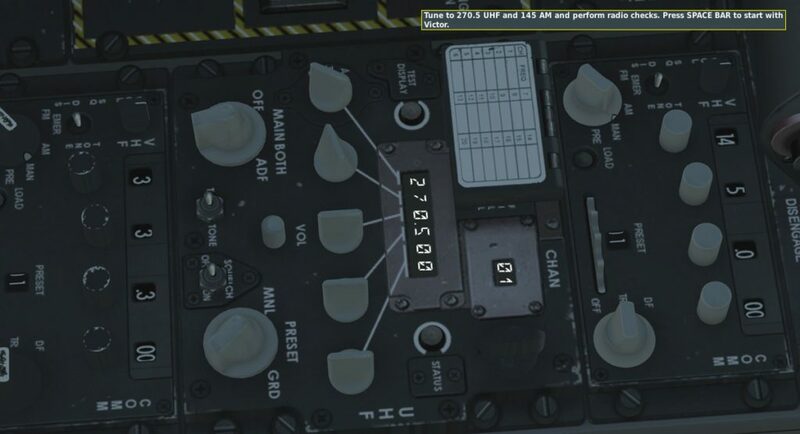 Total mission time from start to end was 1 hour and 40 minutes! 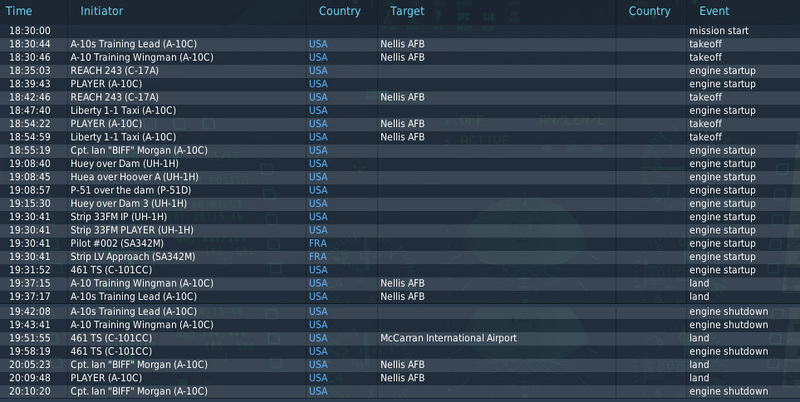 This might be subject to change because I think some of the enroute airspeeds were significantly off – like I said, the mission is in development. That said, the mission is another piece of art from BD and his team of voiceover actors. If this is just an easy fly-by, I can’t wait to see what we have in store for the full campaign. 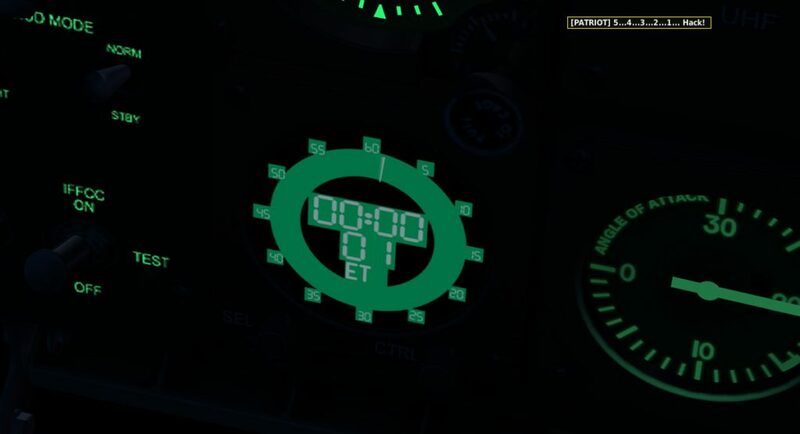 For a hot second there I thought this was a short notice holiday fly in! 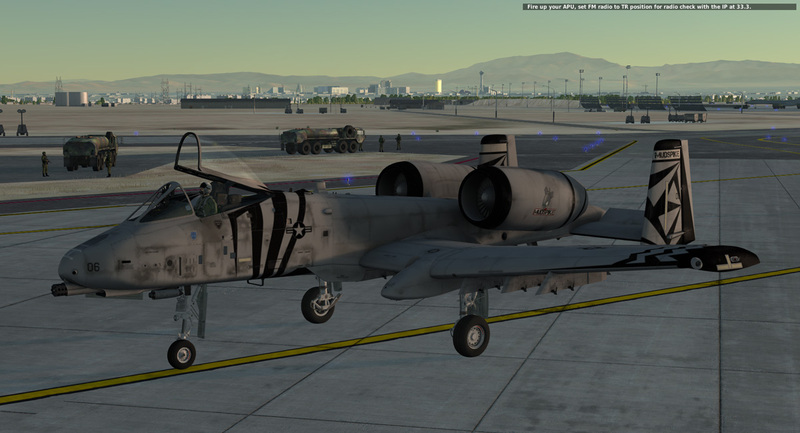 Also that really is a sweet skin for the A-10. 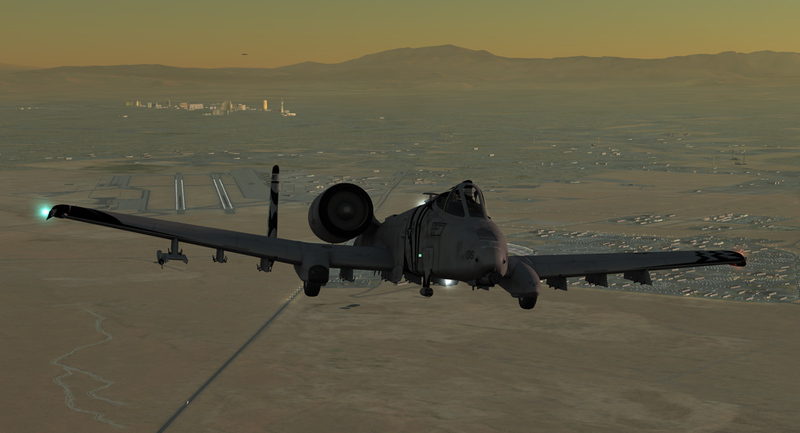 Also that really is a sweet skin for the A-10. Well, if Baltic is the writer/creator of this campaign, then I’m buying it day 1. Nice write up as always Chris. Baltic is the writer/creator of this campaign, then I’m buying it day 1. 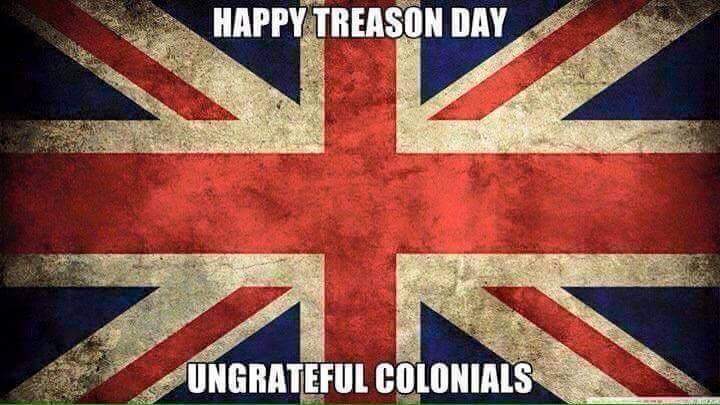 Happy fourth of July, you ungrateful Colonists! 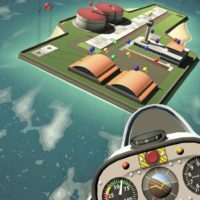 Thanks Chris for a great review of the mission and thanks guys for the kind words! We’re really excited with the campaign - working on it with Doughboy, who for this mission wrote most of the chatter and came up with an idea of doing a timed fly over for 4th of July. The work goes slowly, as there are so many things we need to properly research, then double check in the missions etc., but the results are really encouraging. 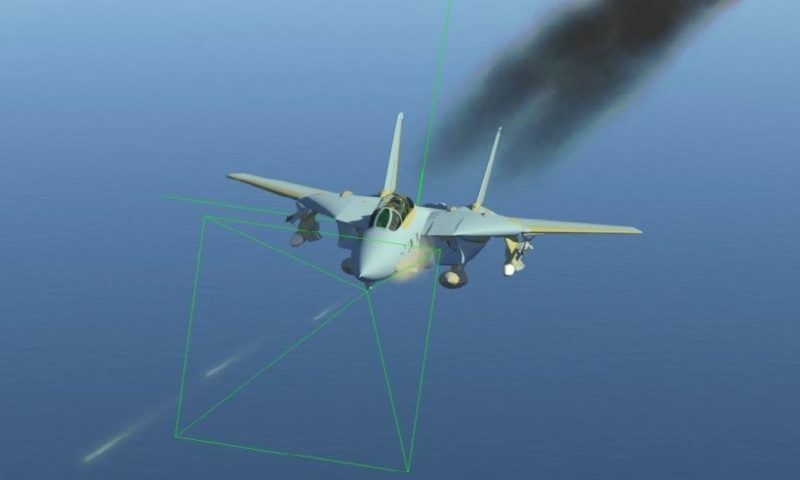 We will most probably release mission 1 that was previewed by Bunyap by the middle of July so everyone could try it and see whether this type of campaign would fit him. Once again, thanks for the fantastic preview Chris! Hey! We paid you lot back by taking pizza and improving it. I’d also like to wish all of our American friends a happy 4th! 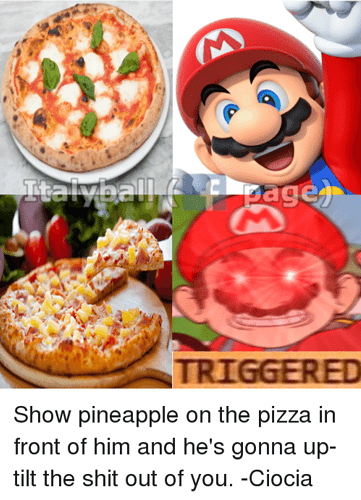 Y’all have such a low amount of official holidays, you deserve it. Good job Baltic! Looks awesome. You are setting the standard for the rest of us to look up to.